3AM at the Krusty Krab is probably the scariest game under the sea! The story is that Mr. Krabs has decided to stay up super late one night (counting his cash). He didn’t know that there’s a pretty evil monster out to get him- The Hash Slinging Slasher. This monster makes an appearance every Tuesday night, and of course, Mr. Krabs is way too busy counting his fat stacks. You play as Mr. Krabs and you need to grab all your things and then escape the Krusty Krab before you get killed with the Slasher’s rusty spatula! Your flashlight will flicker when he comes near you and you’ll have to manage your way around the place without getting caught. You need to complete a list of objectives before you can leave. The game is pretty easy and quick, but it’s still just so awesome to play a horror game based on SpongeBob SquarePants! 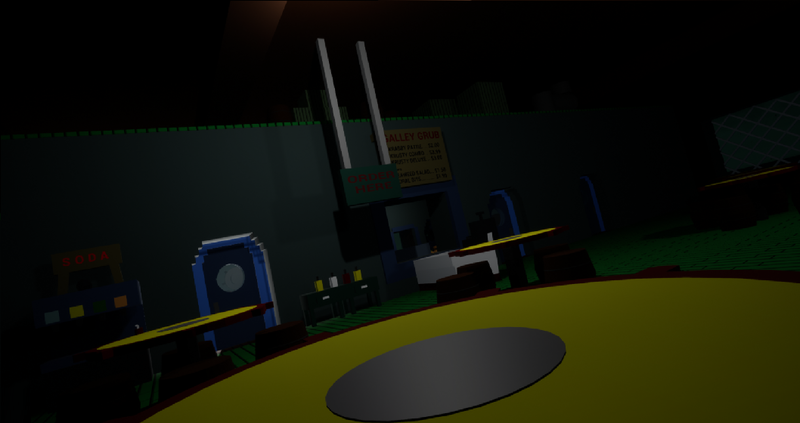 It’s a horror first-person indie game with a complete recreation of the Krusty Krab. The interior looks almost exactly like the actual restaurant- complete with tables, the basement, the bathroom, Squidward’s boat, and even the order menu. You can freely walk around the lobby, the kitchen, and even Mr. Krab’s office. You walk around the place armed with just a flashlight in the complete dark. The game is actually pretty scary. Without spoiling it, you’ll probably be tense the entire time. Even though it’s SpongeBob SquarePants, it’s no walk in Jellyfish Fields. The game is pretty short, but it’s still a chill to play. There’s a cutscene at the beginning of the game that’s really well-done. It’s based on the Hash Slinging Slasher episode and the recreation looks nearly perfect. If you’re in a for a comically-fueled horror game, try out 3AM at the Krusty Krab.